The Jurassic was the age of giant plant-eating sauropods like Diplodocus, which grew to at least 89 ft (27 m) long. 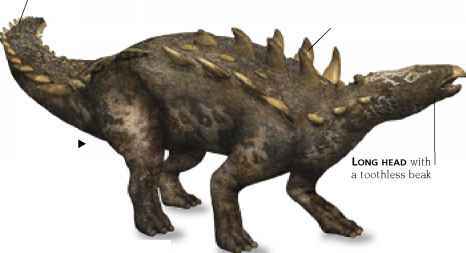 These immense animals probably lived in herds, like modern elephants. Forests covered vast areas of land. 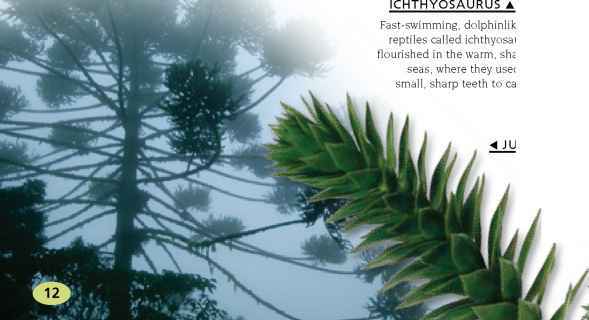 They were made up of coniferous trees such as monkey puzzles, as well as ginkgos, tree ferns, and cycads. 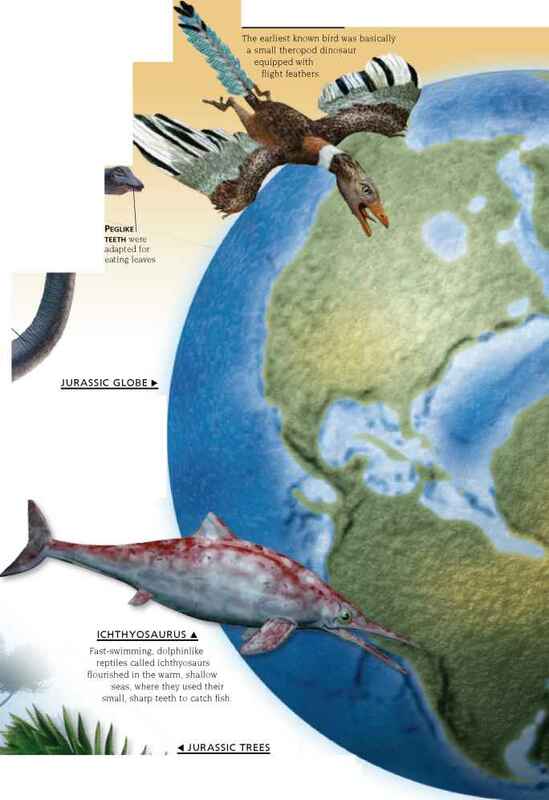 During the Jurassic, movements in the Earth's crust divided the giant landmass of Pangaea, forming Gondwana in the south and Laurasia in the north. These then started to split into smaller parts, divided by warm shallow seas that made ideal habitats for reef corals, fish, and marine reptiles.